That's Vegetarian?! : Gotta Love Them Apples! Feel the soft supple skin. Is it firm to the touch or does it have some give? Smell the sweet fragrance. Gently bring it up to your mouth, touch it to your lips, open wide and one healthy bite into the sweet flesh until the juice starts to slide down your hand. Slowly pull it away. Savor the taste as you slowly chew on the crisp flesh of that delicious Winesap apple. The ever sensual apple. There are over 7,500 apple varieties, so many more that I remember from my childhood. Many exciting varietals are actually hybrids – Jonagold is a cross between Jonathan and Golden Delicious, Empire is a cross between the Red Delicious and McIntosh, and the Mitsu (Crispin) is a cross between Golden Delicious and Indu. Who knew? 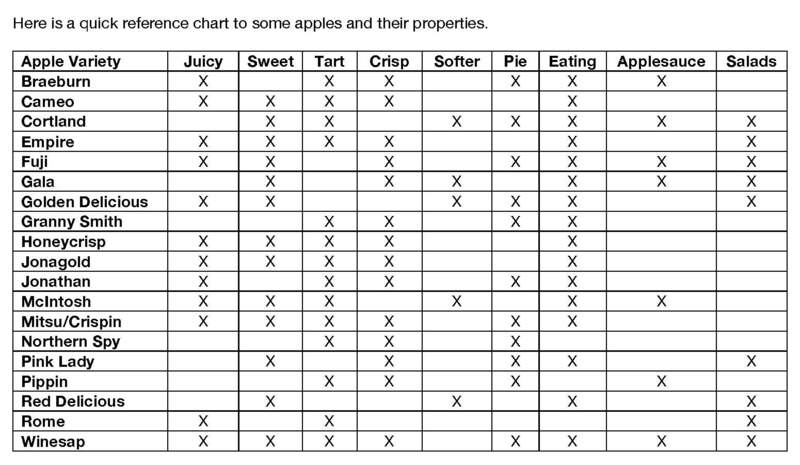 Apples can be a combination of sweet and tart and a spectrum from crisp to mealy. Ever have a spicy apple? 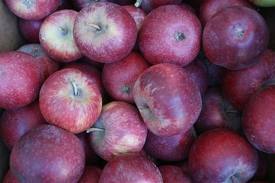 Try a Winesap. Apples are primarily a late summer/fall harvest fruit but do harvest into November especially for winter varieties like Mitsu, Fuji, Northern Spy, Red Delicious, and Granny Smith. When choosing the right apple, make sure there are no bruises. The ones you get in a regular supermarket are the prettiest of the bunch often waxed to perfection. Don't be afraid of the ones that are a little less shiny and raw looking. Less tampering with mother nature. I think the naked Winesaps pictured above are beautiful. 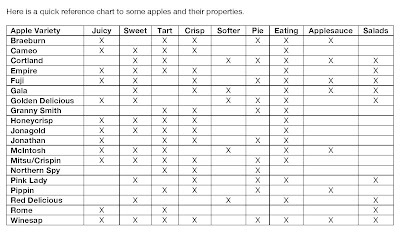 Also note that apples fall into the dirty dozen from the Environmental Working Group - which means, organic is best for apples. They retain and or use a lot of pesticides in the crop. General rule of thumb is to store in a dark cool place. Ever use an apple in a paper bag to ripen other fruits and vegetables? Well it is a great trick when you need them to ripen faster. Apples give off ethylene gas which speeds the ripening. So use caution leaving apples in your fruit crisper in the fridge. Keep the apple in a plastic bag in the drawer. Apples are a good source of fiber and vitamin C.
Which apples do you like to use for what purpose? And if you really feel adventurous – Why? Please comment on That’s Vegetarian’s Blog below! Spray 8” pie dish with vegetable oil. Set aside. (Or use ramekins or lined cupcake tins for individual servings) Preheat oven to 350F. Combine sliced apples, lemon juice, white flour, cinnamon, and maple syrup. Pour into prepared pie dish. In same bowl, mix dry ingredients of topping - oats, brown sugar, flour, flax meal, cinnamon, and nutmeg. Add cold butter (or margarine) and mush together with hands until crumbly. Spread evenly over filling. Bake for 30 minutes or until filling is soft when pierced with a fork. If topping gets too dark, cover with foil. * Substitute pears, plums, peaches, rhubarb, berries, etc or a combination of a few.